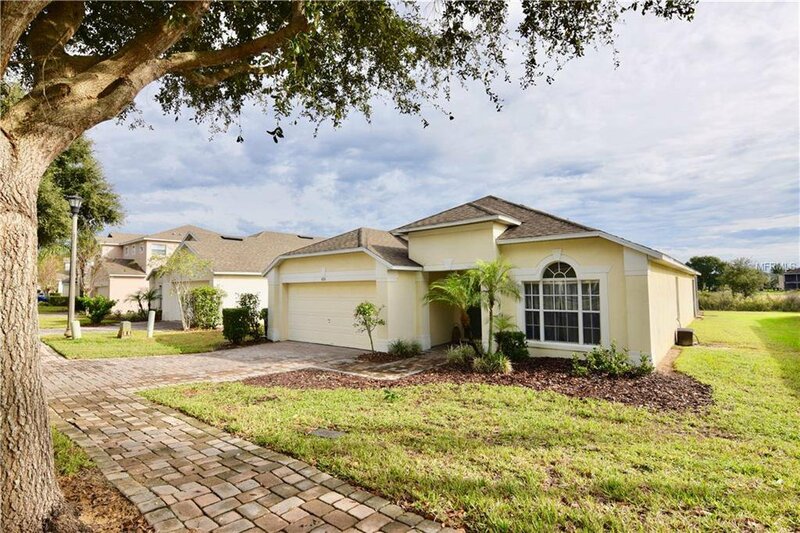 Welcome to this lovely home in the community of Sanctuary at West Haven next to Championsgate! This property features 4 bedrooms and 3 baths, 2 car garage, a private pool and an extraordinary conservation view. As you enter the home the split floor plan welcomes you to your first two bedrooms separated by a Jack and Jill bathroom, located to your right. Both bedrooms have tall large windows that bring plenty of natural light into the rooms. The elegant foyer invites you to the third bedroom located on the left side accompanied by the guest bathroom. The house has a lovely open space living and dining area, with high ceilings that gives a cosy and peaceful feeling to the home. Master bedroom privately located to your left, accompanied by a spacious master bathroom with his and her walk in closets and his and hers vanity. Easy access to the pool from master bedroom as well as the living room. Great size pool and what a serene view! The property qualifies for short term rental. Only minutes away from Disney Parks, Publix and other shopping centers. To make this home your own, call today and schedule your private walk through. The HOA includes the following: Cable & Internet: Spectrum, Total of 3 Digital Boxes, Approximately 200 Chanels, 100 mbps Internet. Community maintenance, Street cleaning including pavers, Leaves blowing, Lawn Maintenance, Gates, Street lights.